Red Wing's best name in insulation is Ryan's. Ryan Insulation offers a wide range of insulation products and services to Red Wing Minnesota. From attic insulation to injection foam - Ryan's does it all. We offer insulation services for soundproofing, ice dam prevention and removal and R-Value Checkups. Having new insulation put in your home is one of the most cost effective and affordable ways to improve your home's energy efficiency level and comfort level. Often our services pay for themselves through a reduction in homeowner's energy bills. We utilize different insulation brands for different projects and scenarios. 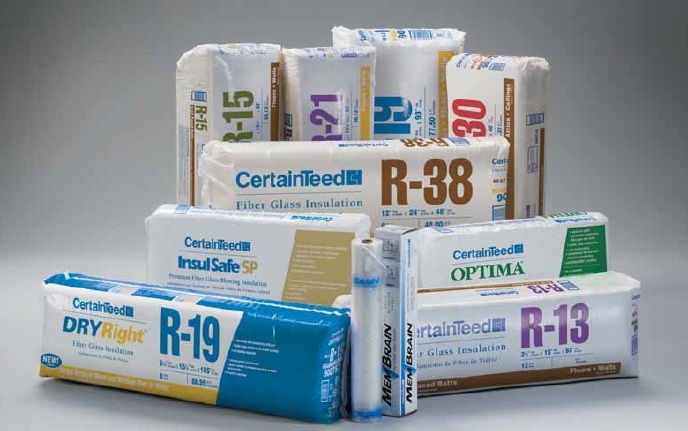 We offer both Owens Corning (pink insulation) and CertainTeed's InsulSafe SP blown-in insulation. We also have an insulation showroom where you can meet with one of our trained professionals and discover the benefit of today's greener more energy efficient insulation products. Our insulation experts and crews have over 30 years of experience re-insulating people's homes. We undertake both residential and commercial jobs. We have hundreds of happy customers all over Red Wing and the surrounding Red Wing area. Don't chance your home to an unknown contractor, trust Red Wing's most hired insulation contractor - Ryan Insulation. To make an informed decision for your project it's best to acquire reviews and testimonials on any possible contractors your considering for your project. Many out-of-state companies have been sighted in Red Wing, offering homeowners cheap insulation installs based on current Minnesota Energy rebates and tax incentives. Finding a company you can trust with your home can be difficult and stressful. Over 60% of our business is repeat customers and referrals. Our customer's love the quality of our work along with our honest prices. Our policy centers around customer satisfaction. We never steer possible customers into something we wouldn't have installed in our home. We believe every home deserves unique attention - that's why we use a multi-point inspection when reviewing your home's current energy efficiency rating and R-Value rating. Call Ryan Insulation Today or click here for a free insulation estimate.